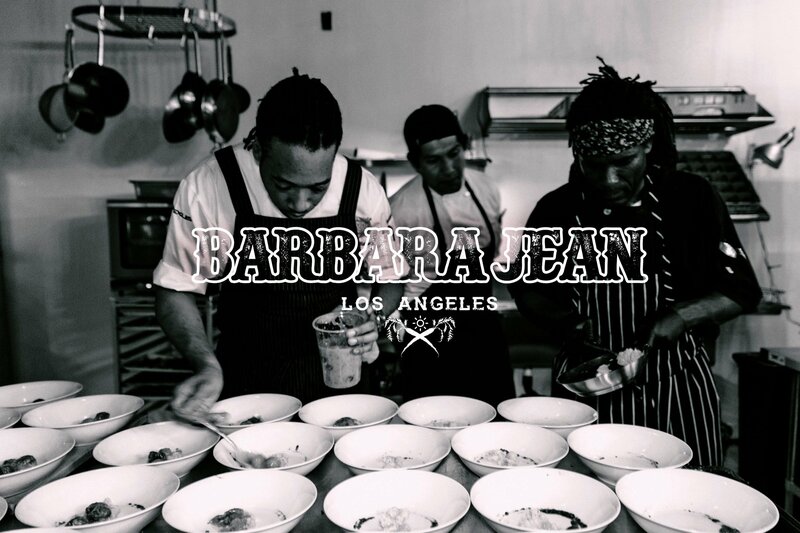 Since June 2016, Chef Jason Fullilove has been pushing the envelope with his Barbara Jean pop-up restaurant by offering a modern twist on American Soul Food. With momentum only building up from here, Chef Fullilove is now stepping into the former Smoke.Oil.Salt location on Melrose Ave. in West Hollywood, CA for a weekend residency that’ll feature his Barbara Jean pop-up concept. He’ll still be keeping heavy focus on the roots of African-American cooking, it’s nutritional foundation and original applications such as meats, offal, ancient grains, vegetables and fermentation. All of this while keeping the presentation on-point and the flavors flowing. Offerings will consist of a la carte options and full tasting menus that are a complete steal for this kind of cooking – $45 for dinner and $30 for Sunday brunch. Barbara Jean opens Friday February 24, 2017 with hours from 5 p.m. to 10 p.m. Friday and Saturday, and offers Sunday brunch from 11 a.m. to 2 p.m. See a sample menu HERE. Make your reservations on OpenTable. From the Chef Life Nation, we want to congratulate Chef Fullilove on his newest venture. Always pushing the envelope and always pushing to be a better chef! Congrats, Chef!